This is my green army man costume. Plywood shaped and paint and screwed to a military boot for the foot plate. 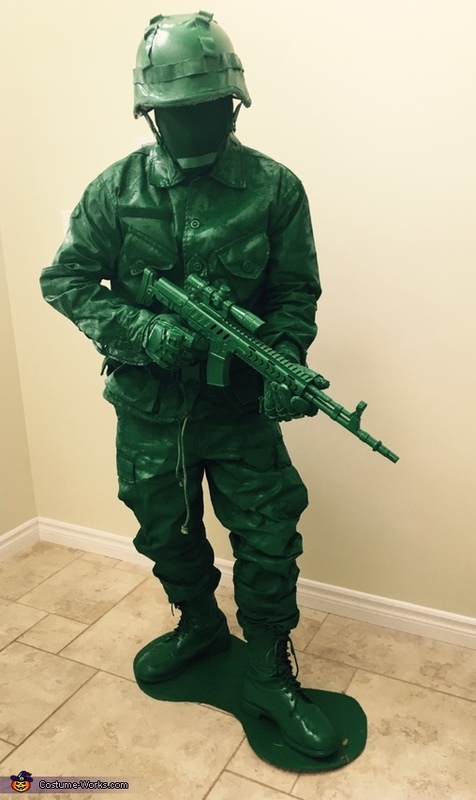 Army surplus clothing and helmet painted green. Dollar store gun and grenades painted green. Paintball gloves and cotton gloves painted for the hands.